What do we have today? I've been starting to think about gifts I can get my youngest niece for her birthday next month. Her hair is a hit haywire at times and some funky hair clips might be one idea. 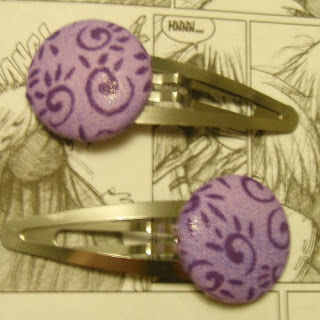 Keeping with my favourite colour of purple, these purple swirly hair clips from Smiss00 are fab! Stop back next Friday and see what we can find!